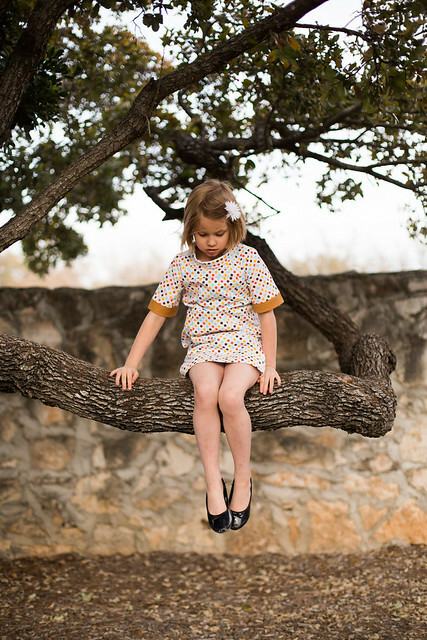 When Indigo's last Oliver + S School Photo dress was passed along to Evie, I knew she needed a new one to take its place. I made this version over a month ago. It languished on my ironing board, waiting for the button and hook and loop closure to be sewed onto the collar. Neither the thread chain loop nor the hook and loop closure survived the long haul on the last version of this dress. I won't spend too much time thinking about what that says about my hand sewing skills! I decided to live on the wild side and skip both this time. 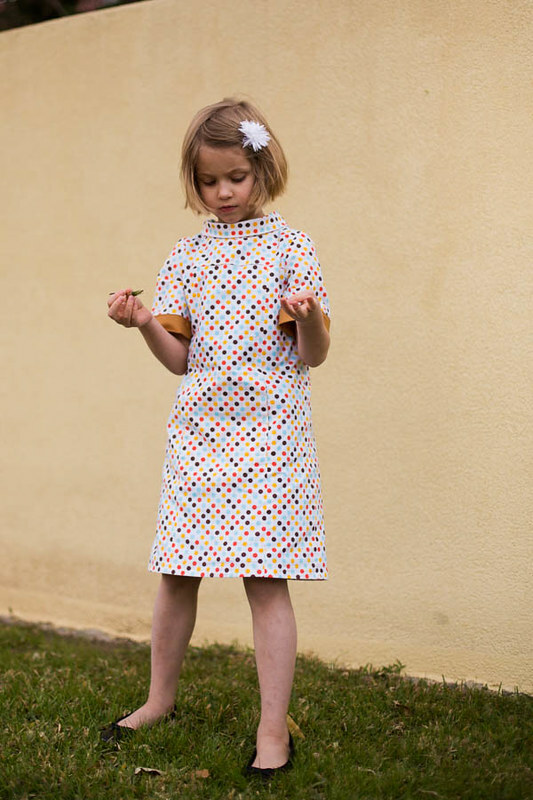 If you're interested in sewing this dress, let me give you a tip that'll make it come together in no time. 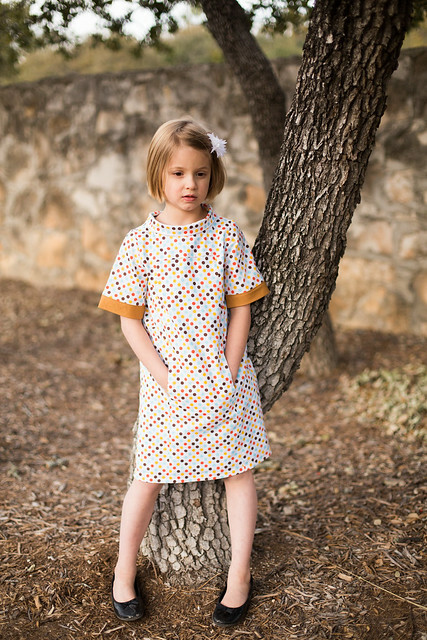 The instructions tell you to finish all of the side seams of this dress using a serger or zigzap stitch. I did that, but I also finished all four sides of each pocket. Then all of your seams with be finished! Easy peasy. Speaking of that pocket, Indigo absolutely loved it! She said it was her favorite pocket ever! She said, "Mom, I can touch my hands inside the pocket." She's definitely an enthusiastic child and I love when she takes notice of special features like this one. Oh it's so classy and perfect! Love that print and the contrast cuffs. I need to make this one again. 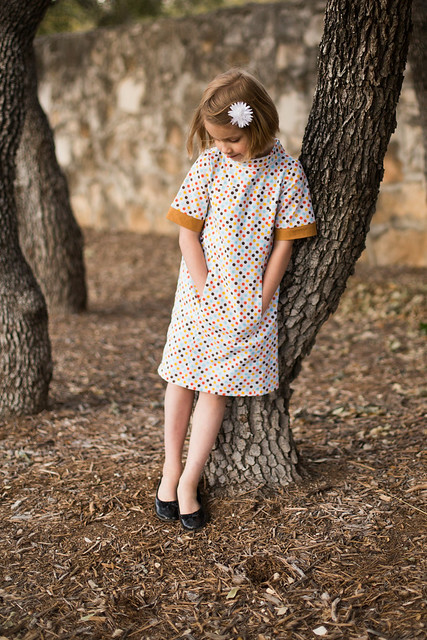 i love everything about this dress - have been wanting to make my niece one. I struggle with the loop closure too - have you done any alternative? Delightful! 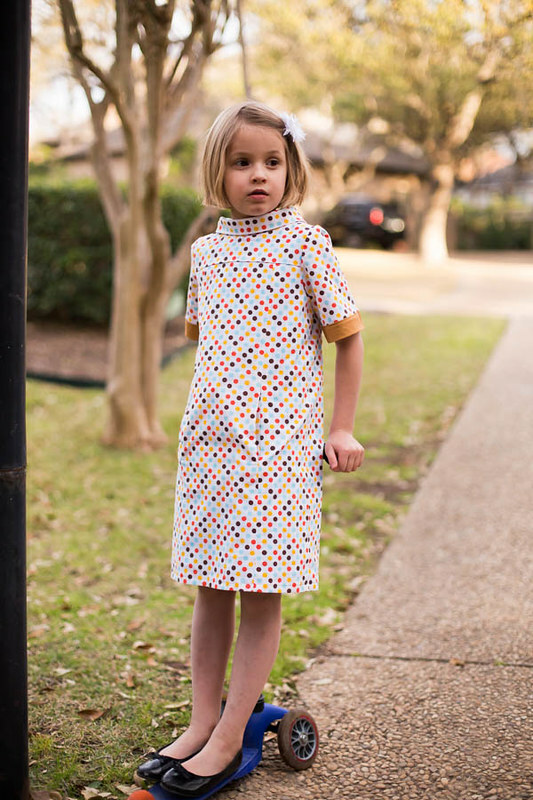 Love the whole look, your little girl is cute as a button too. 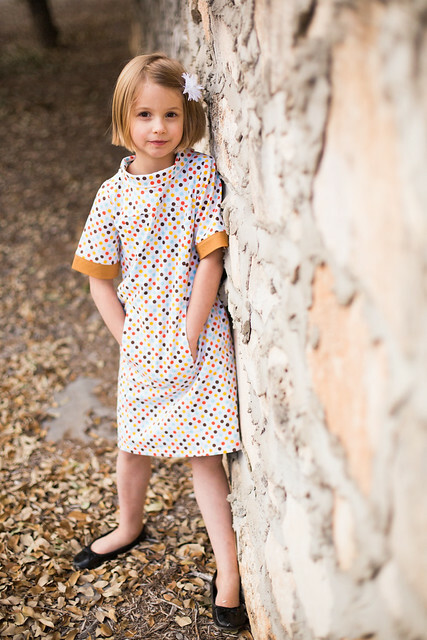 Such a pretty and sophisticated (in a GOOD way) dress! Love it! And I would get a kick out of that pocket too, I don't blame her! I just love this dress, Rachel!